NIA CHARLESTOWN NEVIS (DECEMBER 16, 2015) — Human resource development is a key element in the foundation for national development. 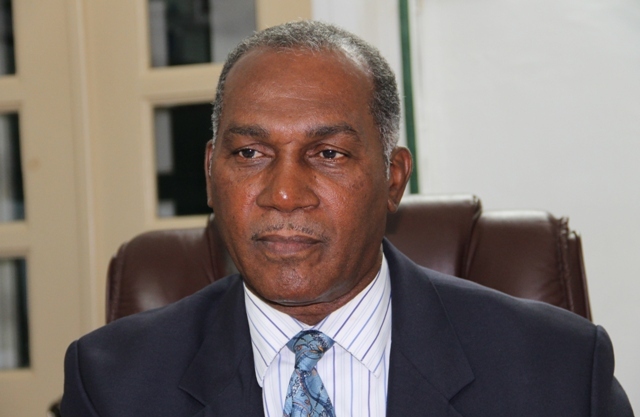 That view was expressed by Premier of Nevis Hon Vance Amory when he delivered the 2016 Budget at a recent sitting of the Nevis Island Assembly. He said as the Nevis Island Administration (NIA) seeks to build a new economy, the human resource capital must keep pace with the island’s level of development and he visualises training of its resource as the impetus to realising an improved quality of life for the people of Nevis. In his presentation on People Empowerment, Mr. Amory stated that the importance of human resource development is the reason every effort will be made to ensure that the people of Nevis utilise every available opportunity to upgrade and enhance their skills through local training or through the pursuit of higher education at the University of the West Indies Open Campus or other universities and colleges. He explained that as the administration seeks to inspire progress, the Human Resource Department will continue its training initiatives at the various levels of the public service in an effort to ensure that officers are well informed of matters relating to the public service. “We will continue to assist nationals who are interested in pursuing studies in the priority areas. These areas include teaching of History, English and the Sciences namely: Mathematics, Chemistry, Physics, along with Special Education and Technical Vocational Education and Training. “The area of Nursing is also priority for this administration especially in the areas of Community Health, Geriatric and Intensive Care. Other areas include Radiography, Nutrition, Biomedical Technology, Occupational Therapy, Physical Therapy, Environmental Health, Civil Engineering, Water Engineering, Electrical and Pump Technology and Project Management,” he said. Mr. Amory noted that these initiatives form part of the administration’s “One Certified 2020 Initiative” which seeks to ensure that by 2020 there will be at least one individual in every household who would have attained a tertiary level qualification or Technical Vocational Education and Training certification. As a result of the initiative, trained persons should be able to take up employment opportunities available on Nevis and thereby decrease the dependency on external services. Mr. Amory also stated that as the administration continues to seek to build the new economy, the training initiatives will enable nationals to better cope in a world of increasing competitiveness. “Investment in human capital through an array of local and overseas training is the fundamental objective of our human resource as we seek to provide our people with the skills set necessary to strive towards a high level of efficiency, productivity and professionalism in the workplace,” he said.